Webiz Media (Parent company of Hamariweb.com) is proud to announce that it has been ranked amongst the top 100 fastest growing (start up) companies in the country. The announcement was made by the AllWorld Network in Lahore at the event “Top 100 Fast Growth Companies of Pakistan”. AllWorld, co-founded by Harvard Business School Professor Michael Porter, is creating the Pakistan 100 to establish the largest information system and network of growth entrepreneurs in the region. The first ever event for 100 Pakistan Fast Growth is with great optimism for future of Pakistan. Top 100 entrepreneur companies are alone generating $1.4 billion as turnover, 55% as annual growth and 41000 as jobs creator. 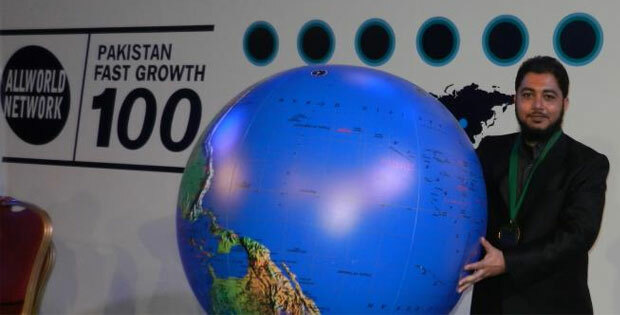 AllWorld systematically identifies private growth companies and ranks the fastest growing for the Arabia 500, Africa 500, Asia 500, Eurasia 500, and Latin America 500. Being on an AllWorld ranking puts companies on the world map, drawing the market to them. Webiz Media, is specialized internet marketing company with core expertise in online brand and business development. The growth rate during the last three years in terms of online users was over 300%, containing also stable growth in terms of financial activities too. Abrar Ahmed, CEO of Webiz Media and Co-Founder of Hamariweb.com said “we are looking the same, towards the real e-commerce and e-retailing in our country. We are in a planning to introduce the true and finest experience in online shopping for our internet users.” Abrar Ahmed also congratulated the team and its loyal online users on this achievement. He reaffirmed company’s commitment to provide the best user oriented experience to its vast majority of online users in the country and region.